Article originally appeared as Review: ESET NOD32 Antivirus 4 For Linux by The Spectre in Full Circle Managzine Issue 82. The reason for this review is because I quite often see questions on the Ubuntu Forums about what Antivirus programs to use and the standard answer is: you don't need an Antivirus in Ubuntu/Linux. And though this is generally true, some people feel uneasy without any Antivirus protection and just want peace of mind. Plus, there are legitimate reasons to have an Antivirus program on a GNU/Linux machine; you may share files with other users who are running Windows, or you might be running a mail server and don't want viruses spreading through your network. I have also found it useful when I am working on someone’s computer that needs a complete format and reinstall of Windows. Now, I can scan all of their files for Malware (that I have backed up to a USB Drive) right from my Ubuntu machine – before I transfer the files back to the Windows computer. There are also things that Linux users still might need protection from, such as Boot Sector Viruses, Browser Flash & Java Exploits, and though they are few and none (known) in the Wild, there are GNU/Linux Viruses out there as well. I have been using Ubuntu for a little over a year now with only ClamTk installed, which I use to scan files that I am sharing with others. I decided to install ESET NOD32 Antivirus about two weeks ago just to check it out, and when I did the first full virus scan, it found three items in Chrome’s temporary files. ESET is well established with a great reputation and with consistently high scores at AV-Comparatives.org, virusbtn.com and AV-TEST.org. It detects GNU/Linux, Windows and Mac OS Malware. Most of the Linux Antivirus programs detect only Windows Malware. It is super easy to install and has a nice user interface with plenty of options such as Real-Time Protection, which can be disabled for users who have computers with limited resources, or who use only want on-demand Virus scanning. It uses very few resources and I have not noticed any slowdown of my Laptop using a Dual-core Intel P61 00 CPU with 4 GB of RAM. Even during a Full System Virus scan, the CPU and RAM usages were reasonable. Users with a Single-core CPU or with 1 GB or less of RAM may want or need to disable the Real-Time Protection. Peace of Mind. I like the idea that it is protecting me from GNU/Linux Malware as well as preventing me from potentially spreading Windows Malware to others. The icon that is displayed in the Ubuntu Launcher is very low resolution and it would look much nicer if it was replaced with a better quality icon. Also NOD32 is shown twice in the installed program list – one low resolution icon and one very nice looking icon – but nothing happens when you click on either of them. It should at least open the program when clicking on it. There is a notification whenever there is a Virus Definition Update. But it can easily be disabled by going into the application preferences and selecting “Do not display notification about successful update” checkbox. ESET NOD32 Antivirus for GNU/Linux is neither Open Source nor Free, but it can be found at a very reasonable price on NewEgg or Amazon. I have seen ESET NOD32 Antivirus 1 PC License for around $1 0.00 and a 3 PC License for less than $20.00. I purchased ESET NOD32 Antivirus (3 PCs) from NewEgg for $1 8.00; the box that I received only had the Windows version, but all you have to do is Download the Linux version and use the same license. So you can use the license from a higher-end product on a lower-end product, but not from a lower-end product on a higher end product. Hopefully there are plans for improving the program or adding a Cyber Security/Smart Security version with more features. 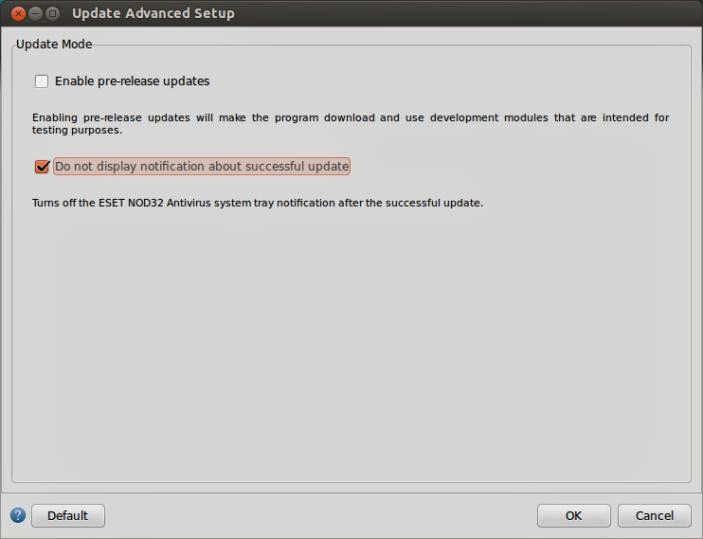 Version 4 of ESET NOD32 Antivirus for GNU/Linux has been out for quite some time now; the Mac version is at 5 with a new version in Beta Testing and the Windows version is up to 7. When they release a new version they should also add the Gamer Mode. 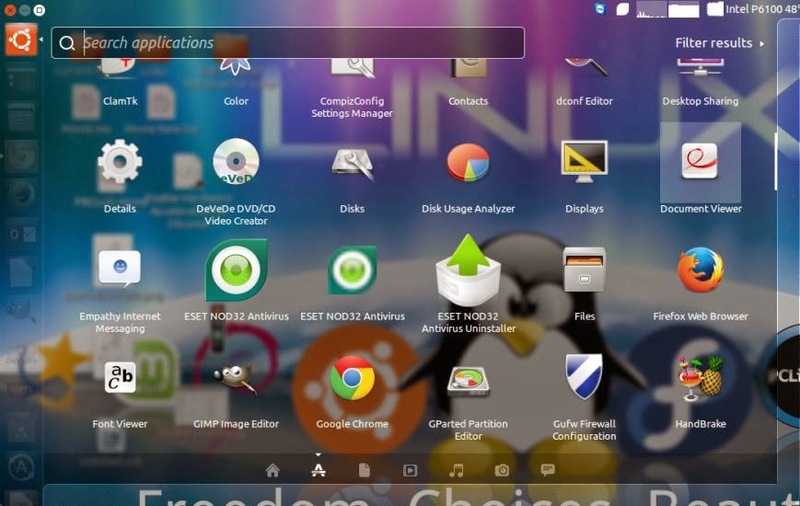 With the release of Steam for GNU/Linux and the Steam OS which is GNU/Linux based, it might be a good idea for them to add such a feature. Their technical support is competent and helpful. Well ESET NOD32 Antivirus is good, but i would still suggest people to go for norton cause of their frequent updates with latest spyware and threats. Nice article on ESET NOD32.